﻿ Beyond The DaVinci Code: Robert Waxman Asks - Did Jesus Study Kabbalah? What kind of religious philosophies were Jesus and his disciples studying from 29 CE – 33 CE? They couldn’t have been studying Christianity because The New Testament wasn’t completed until 325 CE (almost 300 years after the crucifixion at The Council of Nicea). They surely weren’t studying Buddhism or Hinduism, so this leaves just one possibility – they must have been studying the timeless, ancient wisdom of Jewish mysticism known as Kabbalah (which was very popular in Israel during this time). Jesus veiled many Kabbalistic truths when he spoke to the masses (Matthew 13:34). “All these things Jesus spoke unto the multitudes in parables; and without a parable he spake not unto them” (KJV). Especially, when Jesus refers to the innermost power of the soul, he spoke in metaphors. An example of such a metaphor, is when Jesus refers to the "God-within" or illuminated soul: “The Kingdom of Heaven is within you...” (Luke 17:20-21, KJV). He also refers to “The Father in secret”: "...pray to thy Father which is in secret..." (Matthew 6:18, KJV). This is another Kabbalistic reference to the eternal spark known as "neshamah" or the God-like quality of each individual soul. When Jesus uses the term “Son of Man” (Mark 10:45, KJV), he is using a Kabbalistic phrase that was also used by Ezekiel and Daniel in The Jewish Bible, "For even the Son of Man came not to be ministered unto....". In Kabbalah, a "Son of Man" can be any soul that is seeking purity and divine perfection. Paul refers to Jesus as the “the last Adam”: 1 Corinthians 15:45, "The first man Adam was made a living soul; the last Adam was made a quickening spirit" (KJV). Paul is using a well-known Kabbalistic phrase that refers to "The Adam Kadmon" or the "man" created on the sixth day in Genesis 1:27 (the first and last Adam). So, when Ezekiel, Daniel and Jesus refer to "The Son of Man", they are specifically referring to the primordial archetype of "The Adam Kadmon". This title of A-dam Kad-mon is defined as, "the one and only (or only begotten) 'Over Soul' of all humanity." Eventually, this first and last Adam, breaks-up (or is crucified) into trillions of "little souls", and each one will become a "Son of Man" as it strives to reach spiritual perfection. When these trillions of souls have achieved "messianic consciousness", they will reunite to form "the last Adam". This "resurrection" of the last Adam Kadmon will come at "the end of the times", which is another metaphor, meaning the end of the physical Universe (Einstein's Big Crunch). When examining the sayings of Jesus, it becomes apparent that he was familiar with the ancient wisdom teachings of Kabbalah, and the messianic power of each individual soul. His intended message comes straight from the heart of Kabbalistic philosophy: "through the power of your own soul, you will find 'The Kingdom of Heaven within'." Kabbalah has become extremely popular due to Madonna and her Hollywood friends embracing this mystical philosophy. With best selling books like the DaVinci Code raising profound questions about miracles described in the Gospels, thousands of Christians and people of all religions are seeking answers to life’s most fundamental questions. Kabbalah offers answers to these questions by teaching that the truth comes from within us, rather than from the dogma of religious institutions. Robert Waxman is a writer and educator of Kabbalah. He is the author of the best-selling book, "Kabbalah Simply Stated" which has been a best seller for over a year. His Kabbalistic explanations underline the universal nature of the teachings, and he stresses that you don’t have to be Jewish to love Kabbalah! For additional information visit his websites at http://www.robertwaxman.com and http://www.bobwaxman.com. There is a listing of popular links to Robert Waxman sites at http://www.robertwaxman.org. 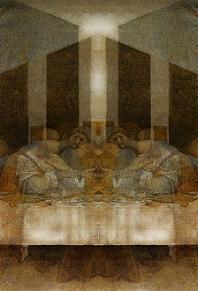 » Beyond The DaVinci Code: Robert Waxman Asks - Did Jesus Study Kabbalah?